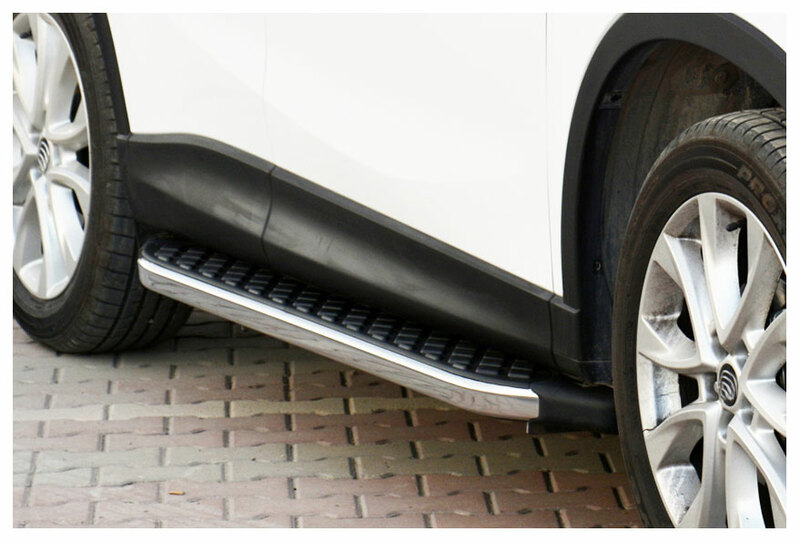 alloy, stainless steel polished, with plastic treads and exact fit, depth of the surface appox. 13 cm, carrying capacity per side 200 kg, no drills or welding necessary. 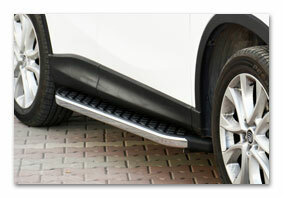 Shipment includes one set of running boards for left and right side, mounting equipment, mounting instruction in German. Mounting at already existing mounting points of the car. time for mounting approx. one hour.